When the crackling microphone got to Paul Ray Henderson at the “Washington at Home” book event Jan. 25, he painted a portrait of a time that most of the audience couldn’t imagine in their polished, political, and progressive city. Straining over the clatter of forks scraping the last bit of falafels and cold gazpacho in a hazy and packed Busboys and Poets located at 14th and V Streets NW, Henderson eagerly gave his own account of an ancient Washington that’s not so evident in today’s district. The detached homes have since been replaced by crowded row houses, the dirt roads with tar and concrete. It’s almost unbelievable that there was room enough for a fantasy amusement park, complete with a wooden roller coaster and a Ferris wheel. 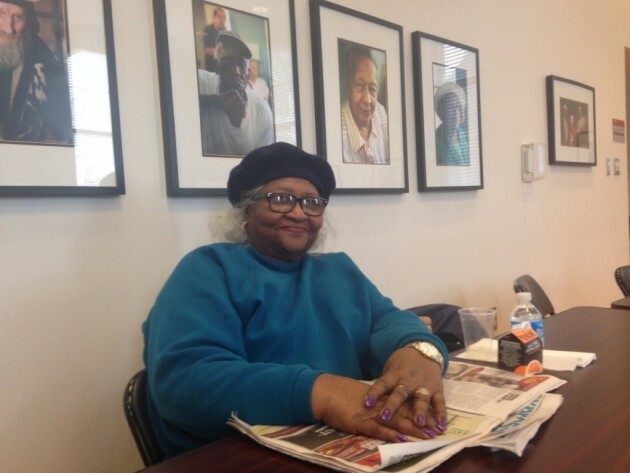 “It was a very happy life,” Henderson, who graduated from Howard University in 1954, said. Beyond the marble monuments, shiny new condo buildings, and the Metro transit train system, the book gives accurate accounts of 26 familiar and forgotten neighborhoods in the District from their humble beginnings, to recently developed hubs for a new wave of socially conscious residents. In a push to assist visitors and residents to learn about the District’s history and gems, the independent non-profit coalition Cultural Tourism DC decided to update the 1988 version of the book to include six new neighborhoods. “I am so pleased, this is very close to my heart,” said Jane Freundel Levey, the director of heritage programs at Cultural Tourism DC and the consulting editor for the newest edition of the book. “Some of these neighborhoods you will know very well, but the loudest voice is the history of the people who lived there,” Levey said. Surrounded by photographs of some of D.C.’s most famous literary geniuses and activists in the socially progressive restaurant, Levey and a panel of contributors talked to the audience about changes that spawned from new construction, migration of people and shifts of power. 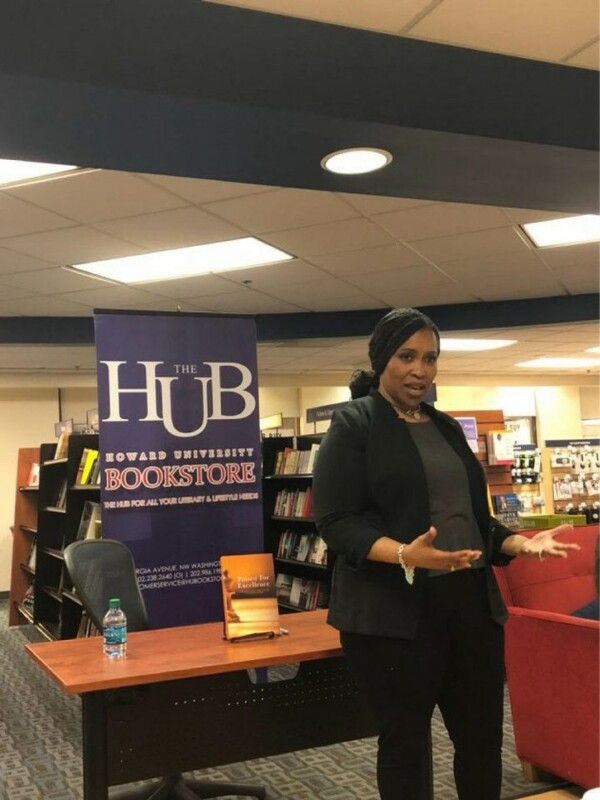 “People think of D.C. as a transitory city, but there are people that have been here for generations,” said Kia Chatmon, chair of the Deanwood History Committee. “Washington had rural character because we have rural roots,” Chatmon said. Areas like Kenilworth, Eastern and Benning Road are named after White land owners, Chatmon said. The panel also discussed how gentrification has long been a problem in the District, citing certain areas developing more than others, how Italian and German synagogues gave way to Baptists AME churches in the heart of the city, and a history of bridges that prevented groups of people from crossing into affluent parts of town. The Metro transit system, built in the 1970’s, quelled some of those problems. “We have a continual history of limited access. That’s changing as we speak, but that’s still a problem,” said Jim Byers, who represented East Washington Heights on the panel. 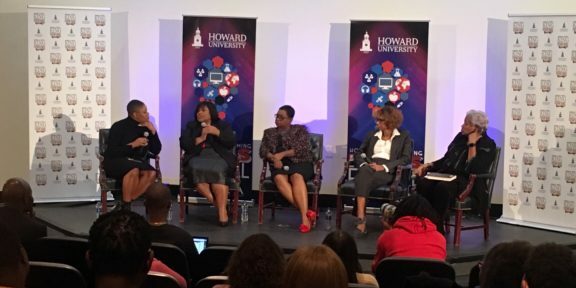 While it’s hard to picture Seventh Street filled with horse drawn carriages and merchant tents, Levey offered another part of history about the Howard University area. “D.C. was the headquarters for union efforts after the Civil War,” Levey said. “Around 1867, D.C. had a large Black population and they all joined the Republican Party,” she adds. 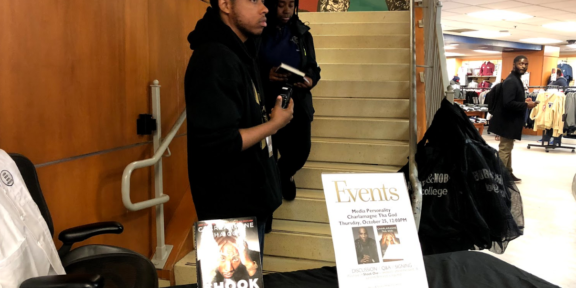 “This book does a really good job of teaching us about our racial, ethnic, cultural and federalist’s history,” said LaTissia Mitchell, the assistant manager at Busboys and Poets Teaching for Change book store. For Henderson, the book discussion was an “opportunity to revisit” his past. “I really enjoyed it,” Henderson said. “That’s why I came. To talk about Deanwood and learn about the other neighborhoods,” he added, but not before talking about sneaking under a long-gone wooden roller coaster to get into the amusement park that modern day Washingtonians never got to see. How do Mutual Friends Celebrate Valentine’s Day? 14 Street’s Place in Modern D.C.